It’s been all about Tom Cruise and Mission: Impossible – Fallout the past couple of weekends at the box office. The sixth entry in the franchise has been bolstered by excellent reviews and has benefited from a lack of direct competition. That’s set to change this weekend, though, as Jason Statham is riding in with his giant shark movie The Meg. Shark movies and summertime go together like cold beer and baseball, which should result in a new champion at the box office this weekend. 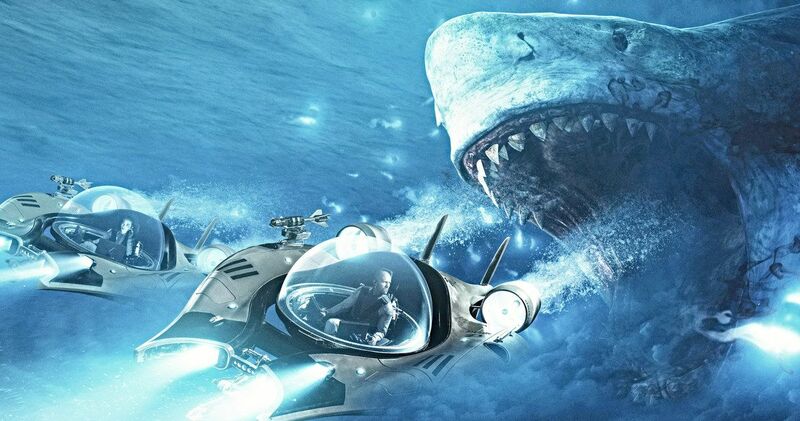 The Meg has garnered very positive early reactions, despite being quite a bit different than the Steve Alten novel it’s based on. Early tracking had the movie pegged between $18 and $23 million. However, positive buzz and a desire for something like this from moviegoers could push that number closer to the $25 million mark. Jason Statham and a giant shark. What’s not to love? Mission: Impossible – Fallout held over very well and bested Disney’s Christopher Robin last weekend. Both movies should hold over reasonably well with M:I 6 sliding into the number two spot with around $20 million, depending on how well the holdover proves to be. Christopher Robin, which is a new live-action take on Winnie the Pooh, scored an A Cinemascore, which should help keep it in the number three spot with somewhere between $12 and $15 million. The family-friendly nature and good word of mouth should help it out quite a bit. Rounding out the top five this week should be a pair of holdovers in Mama Mia! Here We Go Again and The Spy Who Dumped Me. The former continues to be a huge hit as it closes in on $100 million domestically. It should be able to slip just one spot to number five this week with around $5 million. As for The Spy Who Dumped Me, which stars Mila Kunis and Kate McKinnon, it’s proved to be a crowd pleaser and the action comedy should slip just one spot to number four this weekend with around $7 million. The other new arrivals this week are a bit of a mixed bag. Spike Lee’s BlacKkKlansman will be riding a wave of great reviews. However, that may not mean a huge number right out the gate. Though, it should still be able to crack the top ten with a few million. On the flip side, there’s Slender Man, which is pretty much just being dumped by Sony. They haven’t advertised the movie a lot and producers were squabbling about the release strategy behind the scenes. Certain horror fans may turn up, but this thing should crash and burn with less than $5 million. Be sure to check out our full list of predictions and check back on Sunday for the top ten estimates for the weekend. These numbers come to us courtesy of Box Office Mojo.